What's Near the Montage Residences in Los Cabos? Montage Los Cabos is a 39-acre seaside resort that offers spacious, luxury residences, world-class amenities, large living spaces with state-of-the-art appliances, and five-star service. But what about the area that surrounds the Montage Los Cabos location? I would love to tell you all about the majestic spots at the Montage Los Cabos location. The Montage Los Cabos location has the beaches that shimmer in the sun with a sapphire ocean which creates an extraordinary beauty. You will be surrounded by paradise when you see the dry, warm desert reaching out to the tropical sea — not to mention the manicured green. The views are an ace shot. You can expect complete luxury amenities — and the best tequila in between holes — because Los Cabos is one of the top vacation destinations in Mexico. The Fred Couples Golf Course was designed with the natural beauty of the landscape in mind. The course is built on a hillside, which creates oceans views no matter where you are on the course. This sea sanctuary should be on your bucket list if it’s not already. The Sea of Cortez, also known as the world’s aquarium, has the most vibrant body of water on the planet. You will see marine life that you’ve never seen before because rare sea life thrives in this body of water. In fact, there are more than 900 different varieties of fish! You won’t believe your eyes when you are an arm’s length away from a baby sea lion napping on the rocks, or whales forcing air out of their blowholes. When you see the rocky burnt orange landscape with the turquoise water, practically begging you to jump in, you’ll understand why this is one of my favorite locations. Las Viudas Beach is a remote location with breathtaking views — watch the waves crash onto the shore while you relax. The clean, soft sand is perfect for a picnic and sunbathing. And don’t forget about the reefs at this beach; they are perfect for snorkeling, diving, and swimming. Marina Los Cabos is a full-service marina that embraces the history and culture of Mexico. The Marina is adjacent to the San Jose Estuary and just a few miles from San Jose del Cabo. It is one of the top areas of local activity in Cabo San Lucas. You can walk around the marina and look at the beautiful luxury yachts, check out the biggest catch of the day, or sip on your cocktail while enjoying the scenic view. You will experience a rich collection of restaurants — with the freshest seafood dishes — and shops while feeling the salty breeze through your hair. The Montage Los Cabos location has all of the luxury amenities you are looking for with world-class spots to visit. 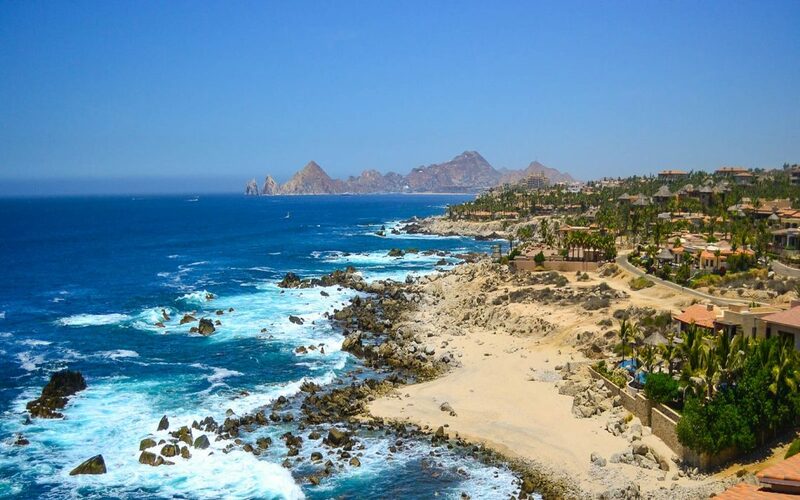 I would love to connect with you about all special places in Los Cabo. Give me a call, and we can take a look at top properties in Montage Los Cabos Residences for sale and which listings would be of interest to you.